Get ready to tone up your legs, tighten your bum, and flatten your tum! This class focuses on those key areas of your body using specially designed exercises. Adult Class (Band 1) £7.90 per 45 minute class or £6.25 each in bundle of 8. 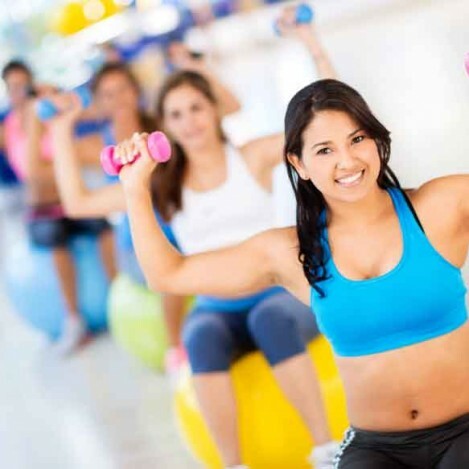 Body Conditioning classes promise an all-round workout for all parts of your body, they’re a high energy, high impact session combining aerobics and toning in one class. You’ll kick off with some aerobics style cardio routines to suitably energizing music, then move on to some more focused resistance work. This could involve floor mats and hand weights and possibly body bars and exercise balls too. Adult Class (Band 1) £7.90 per 45 minute class or £6.25 each in bundle of 8. High intensity interval training (HIIT) short 30 minutes but intense workout, a total body, heart pumping, aerobic and strength training workout. Modifications for all fitness levels are provided. Ditch the workout and join the fitness party! A fun but effective workout using dance moves good for both mind and body. Dancing is a great way to tone your body, get exercise, burn calories and keep your mind active. Adult Class (Band 1) £7.90 per 45 minute class or £6.25 each in bundle of 8. Canada Water Studios team of fitness experts are available for personal training sessions at your convenience. Weight loss, toning, strength work, conditioning: the focus of the session is up to you. Sessions are available 1:1, 1:2 or 1:3, cost is £72 per 60 minute session. Contact enquiries@canadawaterstudios.com to book. Tired of the treadmill? Come and join our exciting selection of fitness classes. If you’ve been sitting on the sidelines wishing for a place to feel like YOU FIT IN, you found it! You will enjoy a wide variety of classes for men and women; taught by our supportive, approachable and motivating team of instructors. We limit class sizes to make sure everyone has plenty of room to move and to allow you to enjoy spending your well well-deserved “me-time” dancing, sweating, and most importantly having fun and getting fit.